This listing includes the original game CD. On-screen printable manuals for all games are also included. The box is pictured for reference and is not included. Want to play? Click the icon. Want the games off your computer? Move the game to the trash. Zero hassle. 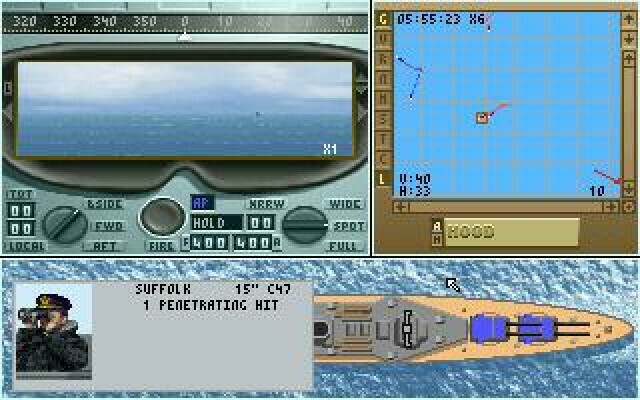 Great Naval Battles of the North Atlantic (GNB-NA) is set during World War II and covers the convoy engagements between the surface fleets of the British Royal Navy and the German Kreigsmarine. 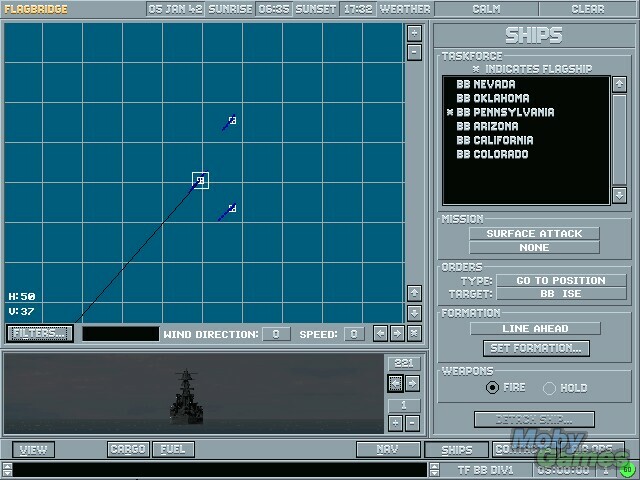 You control one of the fleets in all its facets, from the grand strategy down to the aiming and firing of the guns. Luckily for us most of the most mundane tasks in GNB-NA can be left to the computer (like the aiming of those guns). GNB-NA focuses solely on the big surface ships in the war. Volume II focuses on the Pacific Ocean, recreating the conflict associated with the American campaign to take the island of Guadalcanal in 1942. Great Naval Battles 2 starts with the initial American landings on 7 August 1942 and runs thru the final withdrawal of Japanese forces on 31 January 1943. There are five tutorials, seven historical engagements and two different campaigns, one running the full span of 7 August 1942 to 31 January 1943 and the other, truncated to allow for forces to build up, from 1 October '42 thru 31 January '43. Logic is the key to success in this game as the AI will attempt to thwart you at all times. The best way to win the major battles is to make certain that the battle strategy is sound and well-balanced. 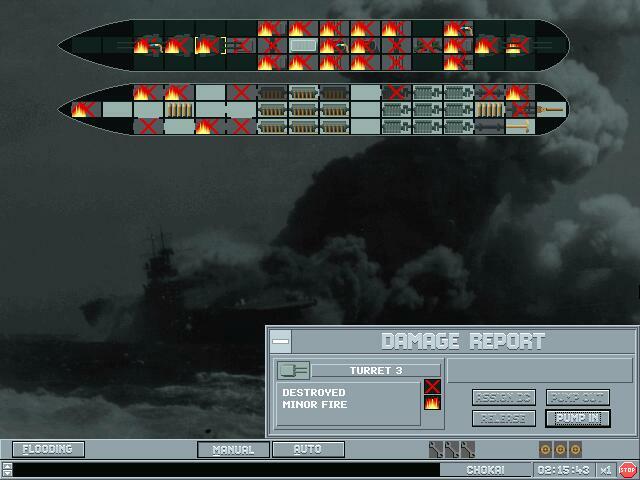 Great Naval Battles IV: Burning Steel is the last part of the quite interesting GNB series by SSI. 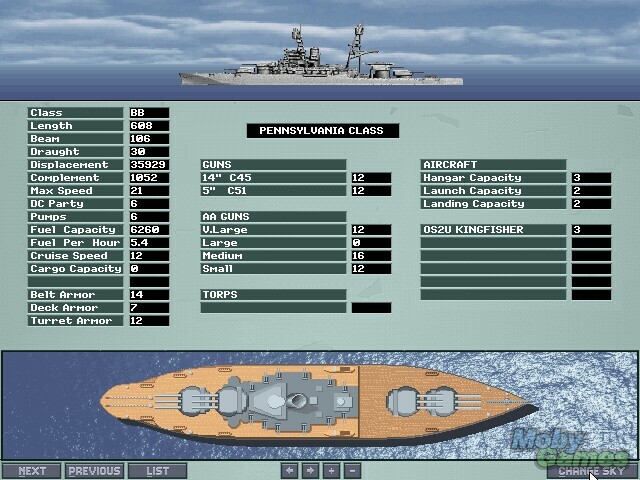 It covers naval warfare in World War II with a focus on artillery battles rather than aerial attacks (similar to Task Force 1942 by Microprose). In this fourth part the combatants are restricted to the major European powers like Germany, the UK, France, Italy and Russia. You have the opportunity to play historical and hypothetical scenarios which last from some hours to a few weeks. But here's also showing the major flaw of this game: there's no actual campaign mode like in the first 2 parts but just these scenarios. 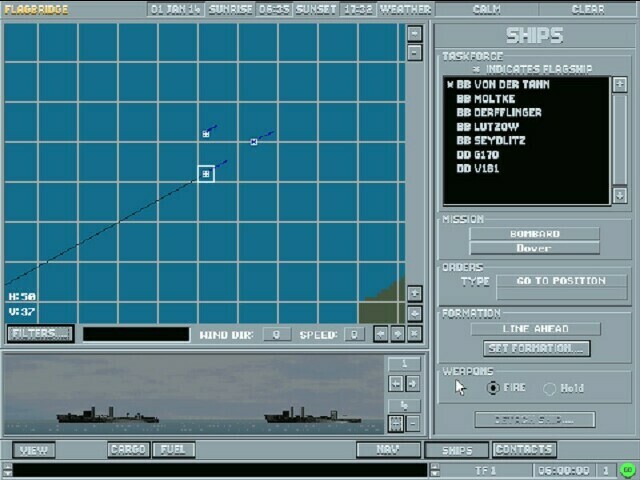 As a compensation there's the option to play a random scenario which sets all Axis and Allied ships against each other on a fictual battlefield. 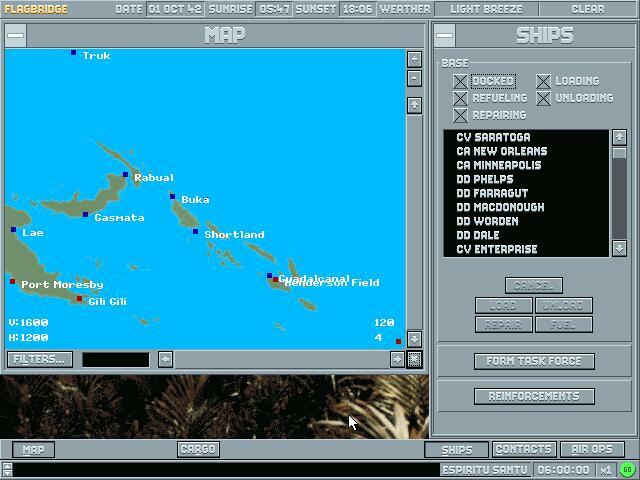 But here all ships are grouped into random task forces, placed randomly across the map and on the edges of the all-water map 2 ports for each side are randomly placed. So it's more a action- packed skirmish than a strategically planned campaign. 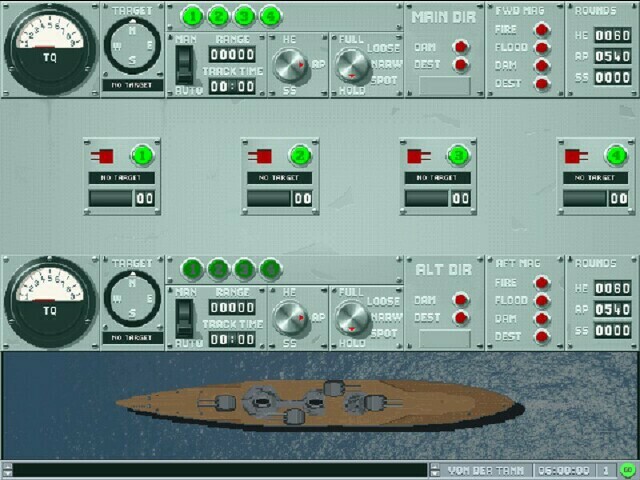 Great Naval Battles V: Demise of the Dreadnoughts: 1914-18 is the final entry in SSI's long line of good World War sea battle simulations. 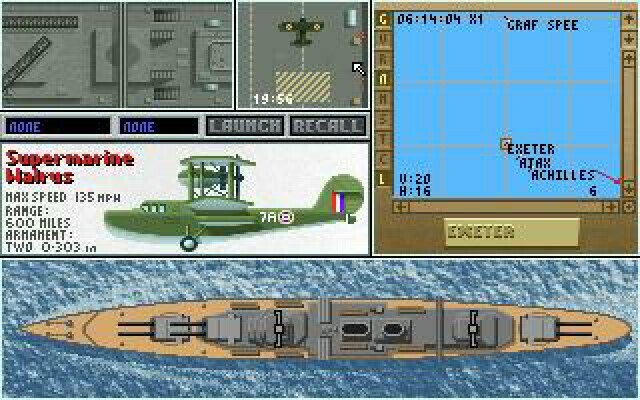 The game uses the GNB IV engine, but with WWI ships instead of WWII, and no aircraft. Logic is the key to success in this game as the AI will attempt to thwart you at all times. The best way to win the major battles is to make certain that the battle strategy is sound and well- balanced. Sometimes, the gamer will get a break and will be able to swarm a large battle cruiser with smaller ships successfully. 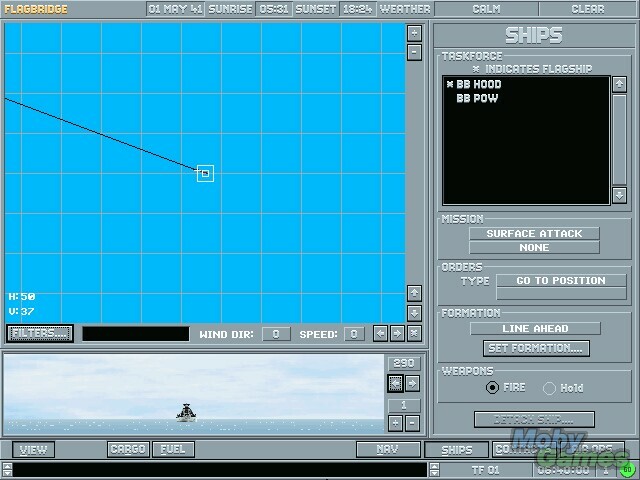 Likewise, a large cruiser can sometimes run right over a fleet of smaller gnats without incurring much damage. 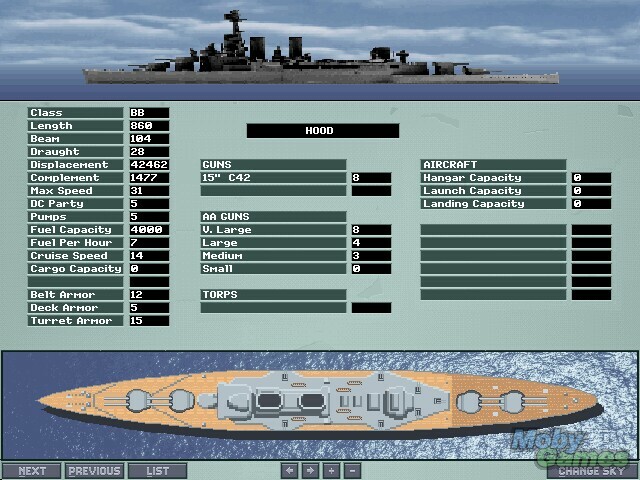 However, most of the time, an attack of balanced firepower, speed and defense is required for a victory.